What Can You Do To Remedy a Tired Voice? If you ever feel that your voice is tired and SERIOUSLY needs a break, don’t ignore your natural instinct. Do not push and force yourself to sing even when you know it’s doing you more harm than good. What can you do? Simply take a break! In my line of work I’ve met many people experiencing such symptoms, and so I want to talk a little bit about what you ought to do when your voice needs a rest. This article will look at the importance of vocal rest for singers. After all, your voice is your instrument. And so you ought to look after it! Superstar Janet Jackson was put on vocal rest and advised by her doctor to reschedule her Oct. 24-25 2015 concerts in Salt Lake City and Denver. On Sunday, Oct. 25, the singer posted about additional tour date cancellations on social media. She tweeted, “Must postpone Kansas City & St. Louis... Doctor’s orders! Hold onto your tickets! I'll be back in Omaha.” Janet rescheduled to resume her Unbreakable tour in Omaha on Friday, Oct. 30. That’s how important vocal rest is to Janet Jackson. And by now I’m sure you’ve realized how important this is for you too. And so let’s take a closer look at what you should be doing on your vocal rest. Vocal rest or voice rest is the process of resting the vocal folds by not speaking and singing typically following viral infections that cause hoarseness in the voice, such as the common cold or influenza or more serious vocal disorders such as chorditis or laryngitis. The purpose of vocal rest is to hasten recovery time. It is believed that vocal rest, along with rehydration, will significantly decrease recovery time after a cold. It is generally believed, however, that if one needs to communicate, one should speak and not whisper. The reasons for this differ, however. Some believe that whispering merely does not allow the voice to rest and may have a dehydrating effect. And so your first step to recovery would be to make sure you’re drinking plenty of water. And to neutralize the strain in your throat, ensure you take a daily dose of 1000 milligrams of effervescent vitamin C dissolved in a glass of water. I know firsthand, the benefits of topping up on Vitamin C. If you weren’t feeling so great, suddenly you will begin to experience a lot more relief—which is exactly what you need on vocal rest. However, I wouldn’t recommend whispering on your vocal rest period. It can be a strain in itself. If you absolutely have to speak, then use your voice but speak very softly. But if you really want to be on your way to quick recovery, then you'd better keep your mouth shut for a while. If you’re a singer on-the-go, then you’ll need to know how important it is to have the right tools to hand to help you maintain your voice, for whatever purpose it is you’re away from base, be they recording sessions, live performances and such like. 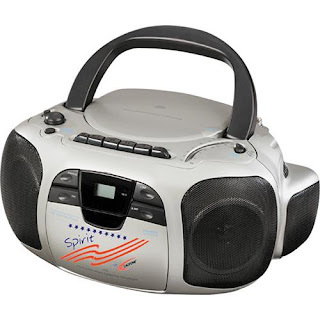 Just as a guitarist would carry their guitar along with them, you as a singer will need to carry with you a boom box to help you stay on top of your vocal training. This article will aim to show you how you can maintain your precious voice when you’re away from home, with little more than a portable piece of equipment that is SO easy to carry around with you. 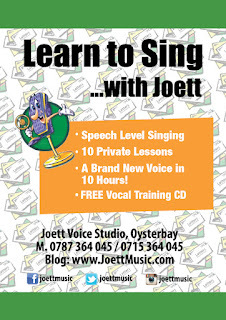 When one of my pupils who’d gone to Zanzibar for a recording session rang me up to inform me that they needed help with warming up their voice with some vocal exercises, the first thing I wanted to know was whether or not they had a training CD. Well, as it turned out, they did. But then they didn’t have a CD player. And this incident, believe it or not, is what inspired this article. If you’ve been voice training for a while, you’ll most definitely know the importance of regularly doing the scales to train your voice. 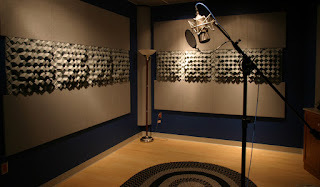 Now, let’s assume you’ll be travelling away from base and you don’t have your personal vocal coach travelling with you. The next best thing, obviously, would be to take prerecorded scales along with you on CD and play that on a portable music system—commonly known as boom box—to train inside your hotel room or wherever it is you will be residing. But, before you go out and buy just any old system, make sure you buy a piece of equipment that will run on both battery and electricity. The battery option will come in handy in case you run into a situation where there is no electricity. The show must go on, right? Always begin your vocal training session with a quick breathing exercise. You can do this to prerecorded instruction, or simply do the breathing workout on your own providing you know exactly what you’re doing. If you’ve been training for a while, you WILL know what to do. Once your breathing is out of the way, do the scales to pre-recorded piano on CD played on your boom box. It’s really that simple, and it will guarantee a good vocal warm-up to enable you to deliver your very best. 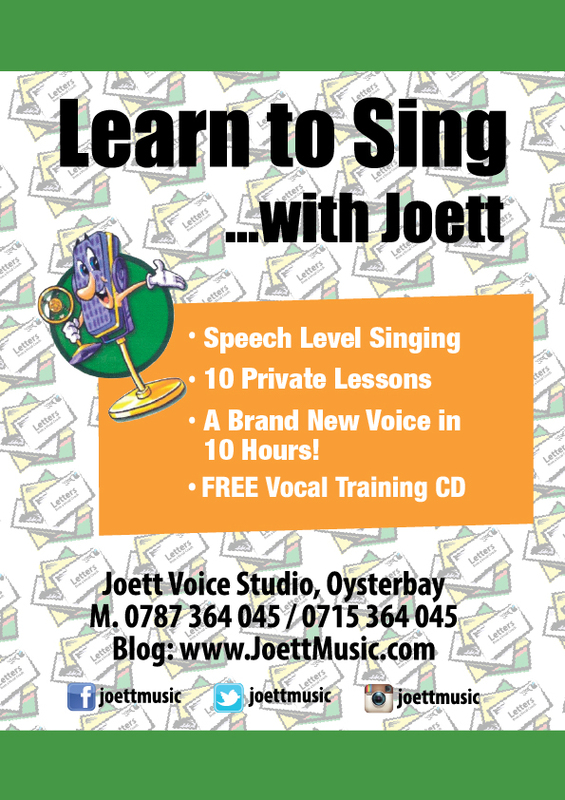 You may download some excellent mp3 vocal training exercises to burn to CD here! If you’ve struggled with your range in the lower notes, in that when you’re headed downward your vocal tends to be unable to get there or if at all it does, your tone begins to sound muddy, then you’ll find this article helpful because it will offer a quick solution to your problem. If you want to have crisp lower notes that are well balanced, read my easy step-by-step guide to expanding your range deep into your chest voice. On many occasions, I’ve had to stop a class just to focus on fixing the lower notes. It is very common for new students, especially, to have a limited range in their lower register. They’d have developed a pattern of singing within a very limited range over the years, and so by the time they hit my studio for vocal training, my job is to fix their entire range STARTING with the lower notes. Now here’s the general idea as regards correcting and re-balancing the lower range. In order to balance your bottom, middle and upper harmonics, you need to get to the reason behind the problem. If your lower range is not properly balanced, your upper range won’t be either. It’s like trying to build a house without the foundation. Your house will likely crumble and collapse now, wouldn’t it? And likewise, if the voice on the lower end of your range is not fitting, then you’d be scaling your way up the ranges but somewhat dislocated or unhinged, simply because you don’t have that straight line developed from your chest to your head voice. So let me show you how I would realign your vocal. I don’t expect you to do this on your own. I only want to explain how we do this, and then you may pick up an exercise right here. We begin running a scale from a universally comfortable range for both male and female, and then we roll it down south to the lower range in small increments. Once the first round is completed, we repeat the exercise again for as long as it takes. You’ll know when your lower note has been corrected because it will sound more crisp and easy to hit. To download a free mp3 to Expand Your Range Deep into Your Chest Voice Click Here!